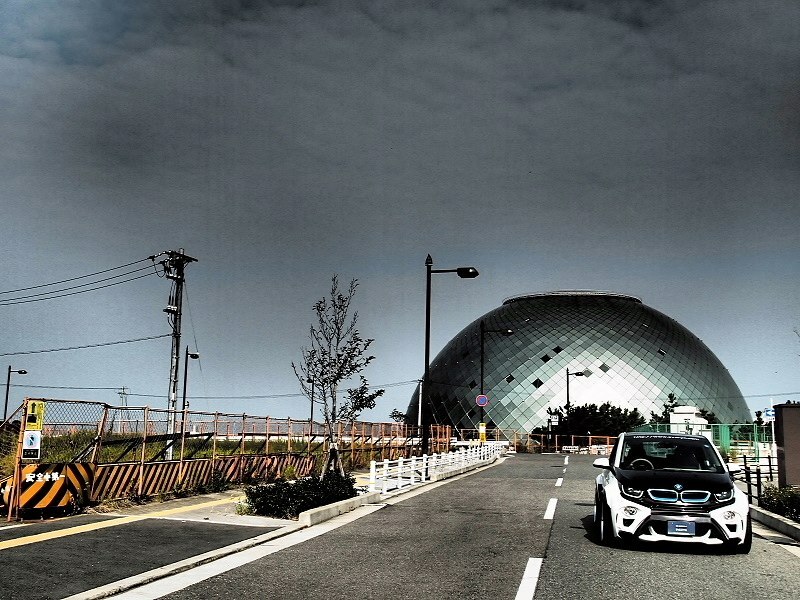 From Japan comes one of the first modded BMW i3 we have seen. 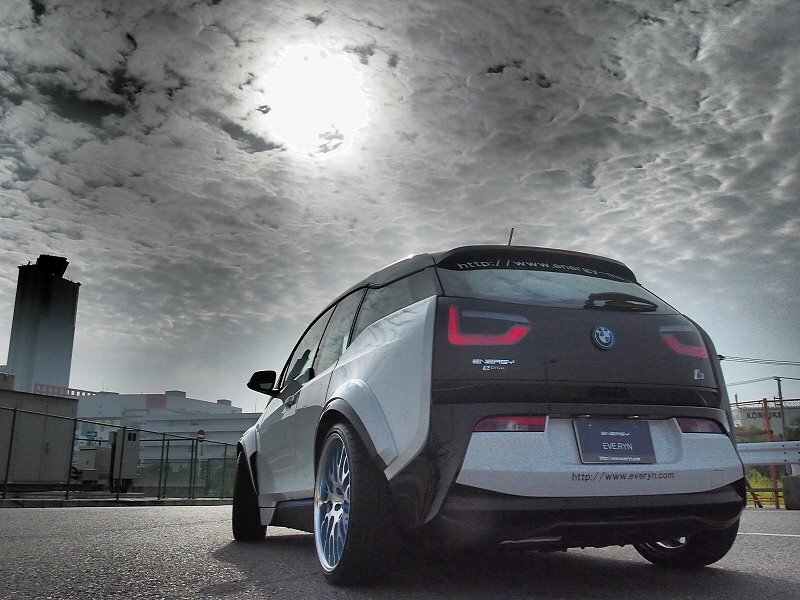 Dubbed BMW EVO i3, the electric vehicle gets an aggressive body kit that turns the car into a racecar-looking machine rather than a city car. 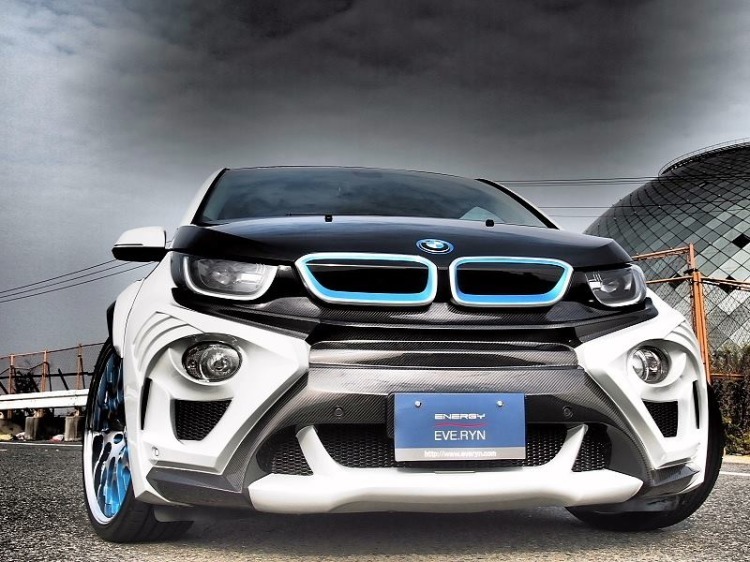 The EVO i3 comes with flared fenders, a completely redesigned front bumper with large air intakes (not sure for what), rear diffuser and plenty of carbon fiber all around the car. 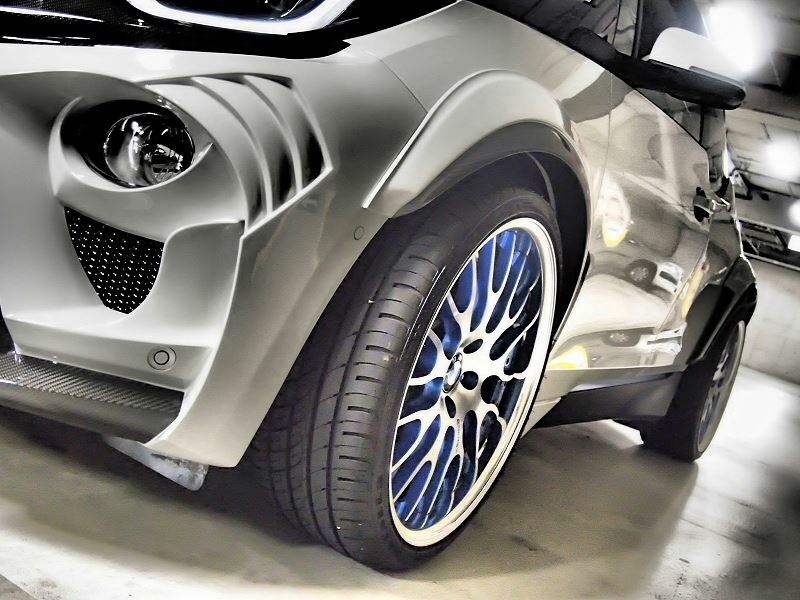 A set of custom wheels in blue and gunmetal in 20 inch size just complete the overall dynamic design. 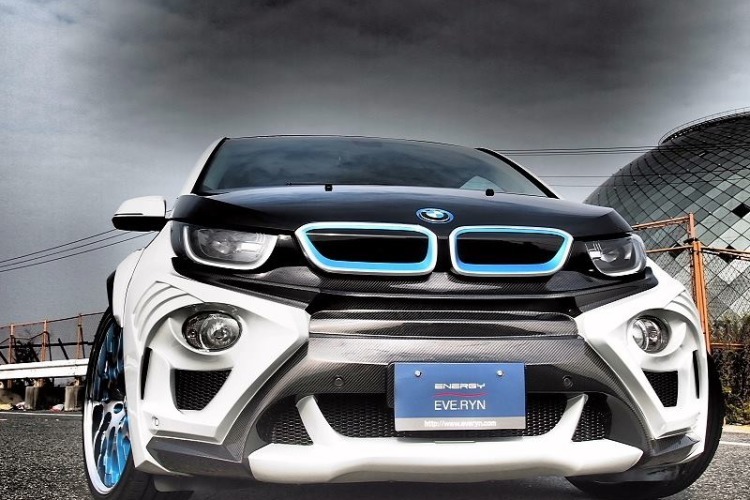 No other details are unknown at this time, but we expect to see similar projects in the future, even if the market for it is quite small.